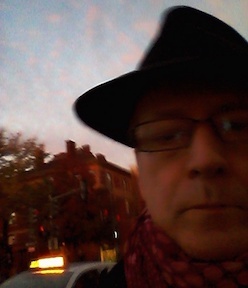 Swedish crime novelist Leif G.W. Persson has written an etensive series of police procedurals united not by a single main character but by a revolving set of characters and a series of interrelated plots (to judge by the 3 novels so far translated into English and the two films available in the U.S..--Bo Widerberg's 1984 The Man from Mallorca, available on VHS with subtitles and En Pilgrims Död, a Swedish 4-part TV series that may or may not be available for download along with downloadable subtitles). 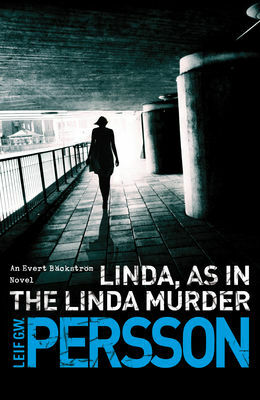 The most recently translated novel, Linda, As in the Linda Murder, focuses on an obnozious and frequently funny minor character in some of the other works, Evert Bäckström, a short, fat, lazy, self-centered detective who has been chosen (from all of Persson's many characters) as the model for a U.S. TV series which will star Rainn Wilson of The Office. Bäckström's malign and feckless character has produced disasters and has been present (if not actually bringing about) successes in Persson's fictional world. Linda operates on two levels: the first is the investigation of the murder of a young woman (Linda, obviously) in Växjö, in southern Swedien. Bäckström is assigned to lead a team of investigators, mainly because everyone else is out of town (it's early July) for vacation. Bäckström's main concerns are with his wallet, his stomach, and the availability of alcohol, and insofar as it doesn't interfere with those things, also the case. As the investigation stumbles forward (entirely due to the efforts of the other detectives on the team) there is a lot of repetition, some of it comic, some of it necessitated by the spiralling forward of the slow-moving process of the police team and frequent false leads. But the repetition didn't become tedious, for me: partly because of the train-wreck comedy surrounding Bäckström and partly because of the metodical quality of the investigation and the writing. Some of the repetititon also is related to the personalities of the other detectives, particularly the one who ultimately pulls on the right threads to unravel the case (I won't tell you who that is, part of the pleasure in reading the book is seeing who is headed toward the truth, and some of the twistiness of the end is in how the conclusion is reached). And just past halfway through (spoiler alert) there is a shift that integrates some additional characters from other novels (in fact also illuminating the plots that will follow Linda in this series), and the second level that I mentioned above begins to develop. One of Bäckström's spectacular failings is his attitude toward women, sometimes kept to himself and sometimes revealed openly. If you find his attitude more annoying than comic, trust me--you should stick with the book. Increasingly through the last third of the novel and with considerable impact at the very end, the author brings the story and Bäckström's sexism (and not only his sexism) into stark focus. As in the classic procedural, the solving of the case proceeds by police (rather than mystery novel) standards. The reader is rarely privy to knowledge not available to the detectives. 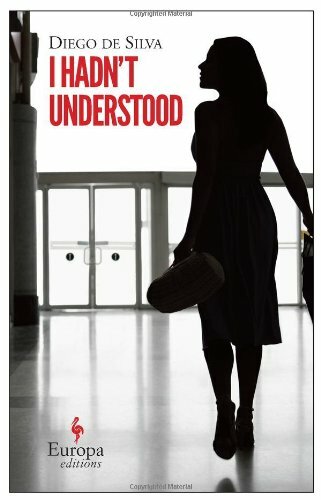 Since this novel is not in a direct line with the first two Persson novels to be released in English, there's no need to read the other books first. On the other hand, if you have read one or both of the others, you will perhaps enjoy Linda more than a novice Persson fan, as characters from the other stories appear like old friends to add their own particular quality and history to the tale. All of the Persson novels so far translated are very long (Linda is 488 pages), but the style is clean and easy to read; all of them proceed indirectly, rather than in a straight line--the pleasure is not just in the solution to a mystery but the clarification of what is actually going on (a process that is somewhat simplified in the films). But I've found all of them rewarding, and having read them makes the very good films more enjoyable as well. Persson, by the way, is something of a media personality in Sweden, more for his actual role in the criminal justice system (as a consultant and profiler, I think), and there are several parodies of his talk-show TV appearances that can be seen on YouTube (but only in Swedish, as far as I can tell).